At Cafe Brazil, it pays to be a Facebook Fan. And this week, the payoff is… FREE Cinnamon Pumpkin Pancakes! 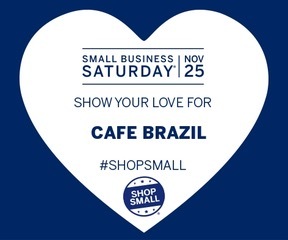 Visit any Cafe Brazil location from 6:00 a.m. to 10:00 a.m. on Wednesday, September 29.